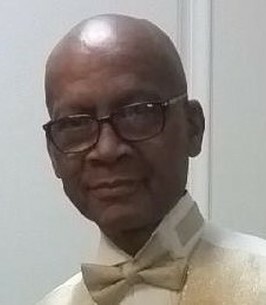 Benjamin “Benjie” Tatum, 69, peacefully departed this life and transitioned into eternal rest on Wednesday, November 14, 2018. He was born January 18, 1949 in Pender County, North Carolina to the late Timothy F. Tatum (deceased) and Fannie M. Tatum. He is preceded in death by his father, Timothy F. Tatum; maternal grandparents; paternal grandparents; brother, William Tatum; sister, Brenda Tatum; son-in-love; Rayvon Grayson, Sr.; and brother-in-love, Naaman Murphy. During his early years, Benjie attended Willard Chapel Baptist Church in Willard, NC and was educated in the Pender County, NC School District. He graduated from C. F. Pope High School in 1966 and shortly after he was drafted into the US Army. While enlisted, he served in the Vietnam War and attained the rank of sergeant before his honorable discharge. He relocated to Delaware and found work as an auto mechanic at Chrysler and Volvo before becoming co-owner of MoGas Auto Repair Service. He was later employed by the City of Wilmington as a heavy machine operator until his retirement. During his employment he was a proud member of the union Local #320. For many years Benjie was a faithful member of Mother UAME Church serving on the Steward Board and Usher Board. Benjie was a loving, generous warm-hearted person. He was an excellent mechanic, craftsman, and drag racing car driver and builder. During his mid 20s/early 30s he could be found at one of the tristate area race tracks with his 1968 Chevy blazing the track. He was also a 1st degree Black Belt in karate and an amateur golfer. Whatever hobby he took interest in, he mastered it to the fullest and enjoyed teaching others, especially children, all about it. He was a die hard Dallas Cowboys fan and enjoyed hosting game day gatherings with family and friends. He was a past member of the Delaware Jeep Club of Wilmington and greatly enjoyed participating in the annual parade. He joined the masonic brotherhood in 2015 and was an active member of Linwood Lodge #87 in Chester, PA until his health no longer allowed him to fully participate. His favorite thing in the world was spending time with his grandchildren, imparting wisdom and supporting their dreams. He leaves to cherish his memory his three daughters, Angela M. Grayson, Latoya Teat and Bennita Wright (Byron Barbour); his mother, Fannie M. Tatum of Burgaw, NC; sisters, Delores Tatum Murphy of Burgaw, NC and Sheila Tatum Lettinhand (Ret 1sg Donald Lettinhand) of Fayetteville, NC; grandchildren, Brianna Donato, Shadajah Barbour and Kaiden Barbour. Special cousins, Doris Lockett and Benjamin Pearsall and faithful friend, Annie Tatum. He is preceded in death by his father, Timothy F. Tatum; his brother, William Tatum, his sister, Brenda Tatum, his son-in-love, Rayvon Grayson, Sr, and brother-in-love, Naaman Murphy. Also left to cherish his memory, a host of nieces, nephews, cousins, godchildren and friends. 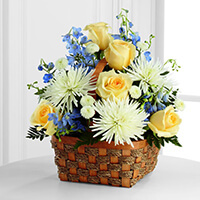 To send flowers to the family of Benjamin F Tatum, please visit our Heartfelt Sympathies Store. I am so sorry to hear about the loss of your loved one. May the God of all comfort and mercies comfort the family at this difficult time.